When I was 16, I spent my evenings doing homework, watching Fresh Prince of Bel Air reruns, and talking on a landline. Ameer Sami, on the other hand, was inventing a smart wall outlet — mostly because his mom was always nagging him when he’d forgotten to turn off the lights. Maybe that’s why, at 18, he’s chief engineer of a company called Ottomate. The company recently launched a Kickstarter for its smart outlet, Ottobox, which Sami claims can reduce homeowners’ energy bills up to 50 percent by eliminating “vampire power.” When your TV is plugged in to the wall, it’s still drawing power, even when it’s turned off. However, with the Ottobox acting as middleman between the outlet and the plug, your devices will stop sipping on energy when they’re not on. 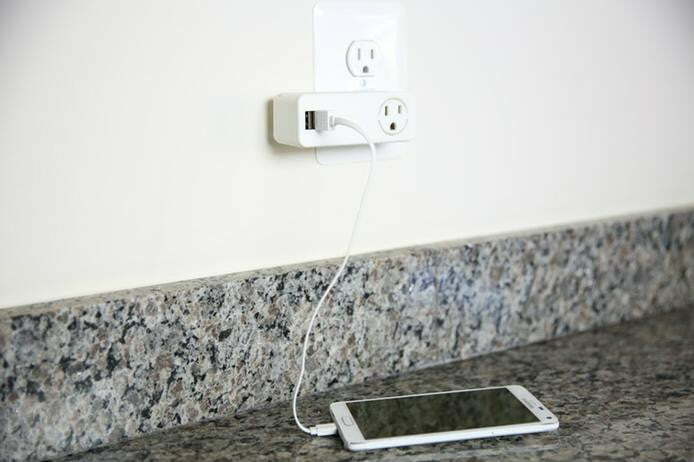 The Ottobox is a 1.5-by-1.5-by-4.25-inch rectangle that’s slim enough to allow you to fit two on one outlet. A ring of LED lights surround the three-pronged plug, so you can get phone notifications. There are also two USB ports on the Ottobox. You connect the smart outlet to your Wi-Fi network, so you can control it through the accompanying mobile app from anywhere. Its included Bluetooth technology, which means you can also set up proximity sensors, so the lamp will light up when you get close with your phone. Sami and his team — which includes a CEO, engineer, and developer — say the Ottobox is smart enough to learn your habits and schedule after only a couple weeks, so it will have your coffee maker start up right before you wake up. In order to achieve a 50-percent reduction in your electricity bill, they suggest a one-bedroom home should have three Ottoboxes, a two-bedroom home needs four, and six is the right number for a house with four bedrooms. Early birds can get a single Ottobox for $50, but then the price then goes up to $80, and it will ultimately retail for $120. They hope to start shipping in December. You can give it to your parents for Christmas and ask them why they didn’t yell at you more for not turning out the lights. Who knows what you could’ve invented by now?